Nicole Kidman, Tim Roth, Frank Langella, and Paz Vega star in the Grace Kelly biopic Grace of Monaco. 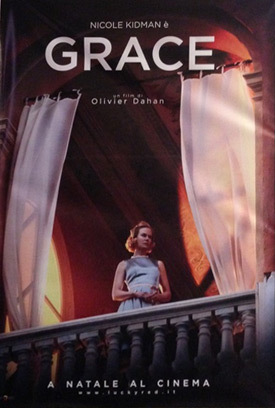 See the movie trailer, plot, cast and release date for ‘Grace of Monaco’ below. The film tells the story of former Hollywood star Grace Kelly’s crisis of marriage and identity, during a political dispute between Monaco’s Prince Rainier III and France’s Charles De Gaulle, and a looming French invasion of Monaco in the early 1960s. GRACE OF MONACO is focused on the personal story of former Hollywood star Grace Kelly during a dispute between Monaco’s Prince Rainier III, and France’s Charles De Gaulle over tax laws in the early 1960s. Nicole Kidman stars as Grace Kelly with Tim Roth as Prince Rainier III. The film is directed by Olivier Dahan (LA VIE EN ROSE).